Your teeth are susceptible to damage due to choices that you make on a day to day basis. What you choose to put into your mouth in terms of tobacco, foods, beverages, and candies will either protect your teeth or harm them. Tobacco should be an obvious choice that provides no benefit to any part of the body, but there are other choices that are not as obvious, yet they still have a tremendous impact on the health of your teeth and gums. While the teeth are vulnerable to the development of cavities based upon the foods and beverages you choose to consume, they are also prone to acid erosion. Acid erosion occurs when tooth loss structure is lost due to the chemical dissolution by acids. Certain foods and beverages are significantly more acidic than others. Coffee, alcohol, tomatoes, pickled vegetables, citrus fruits, and carbonated beverages are the biggest culprits. Carbonated beverages are among the worst of all erosion-causing culprits. It is important to know that carbonated beverages are often used at car accident sites to clean blood off of asphalt. Mechanics have been known to use carbonated beverages to clean battery acid off a car battery. And Pinterest will suggest using carbonated beverages to clean your toilet. The high acidic content of these beverages can eat away at grime. If they are that potent, imagine what all of that acid is doing to your teeth if you consume carbonated beverages on a regular basis. 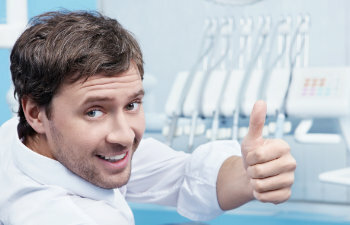 Gold Hill Dentistry wants to help you achieve a healthy smile. Regular dental visits can prevent and treat acid erosion.